Dr. Hendrik is one of the principal researchers in Ma Chung Research Center for Photosynthetic Pigments (MRCPP) at Molecular Photochemistry Research Group and Lecturers in Department of Chemistry, Faculty of Science and Technology, Universitas Ma Chung. He is appointed as an Associate Research Fellow in Centre for Sustainable Nanomaterials, Universiti Teknologi Malaysia from 2017 until 2020 and fellow of the Indonesian Young Academy of Science (ALMI) from 2017 until 2021. He got the master and doctoral degrees from The University of Tokyo, Japan using Monbukagakusho Scholarship in 2007 and 2010. So far, Dr. Hendrik has published 69 Scopus indexed journals with h-index Scopus of 9, total impact factor of 90.711 and number of citation of 346 in which 20 journals are published in Q1-Q2 journals. He has previously a senior lecturer in Universiti Teknologi Malaysia for 6 years where he has successfully supervised 15 doctoral students and 8 master students. Moreover, he has published 5 book chapters and 1 patent. In the dissemination of the research, he has presented 11 invited or keynote addresses and more than 150 oral or poster presenters in international conferences. The research projects have been financially supported by national and international research grants such as World Class Professor (WCP) Program 2018 under Scheme B, COMSTECH-TWAS Joint Research Grants Programme in 2017, European Union’s Seventh Framework Programme for Research (FP7) in 2012-2015, Penelitian Berbasis Kompetensi 2017, Penelitian Terapan Unggulan Perguruan Tinggi 2017, Penelitian Kerjasama Luar Negeri 2017, and many more research grants. Dr. Hendrik’s research focuses on development of novel multifunctional nanostructures and nanocomposites using molecular and supramolecular programming-based organic synthesis for emerging applications in luminescent sensor, imaging, electronic, harvesting, energy storage, memory devices and magnetic compounds as well as catalytic reactions. In particular, luminescent metal complexes and self-assembled organic –inorganic motifs in their bulk and liquid crystalline properties will be used as a powerful tool for finding novel functional nanostructures and nanomaterials with high performance by involving organic, inorganic chemistry and electrochemistry as well as materials science. Dr. Hendrik is also active as a member in professional body such as The Indonesian Chemical Society (Himpunan Kimia Indonesia, HKI), Materials Research Society Indonesia (MRS-id), Malaysian Analytical Association, Malaysian Institute of Chemistry, American Chemical Society (ACS), and Institute of Electrical and Electronics Engineers. 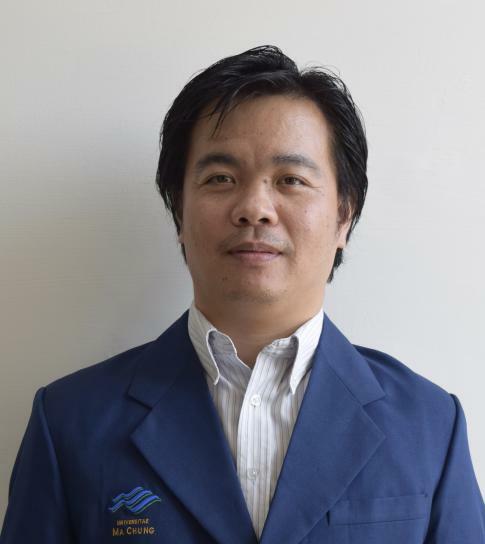 He has also involved as journal editors such as International Journal of Chemical Engineering and Applications, Malaysian Journal of Fundamental and Applied Sciences, Malaysian Journal of Catalysis, Indonesian Journal of Chemistry, Science & Technology Indonesian and Indonesian Journal of Natural Pigments.